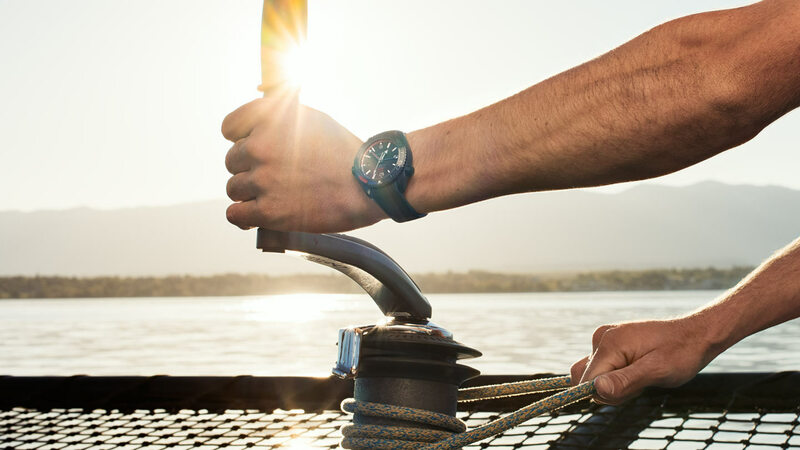 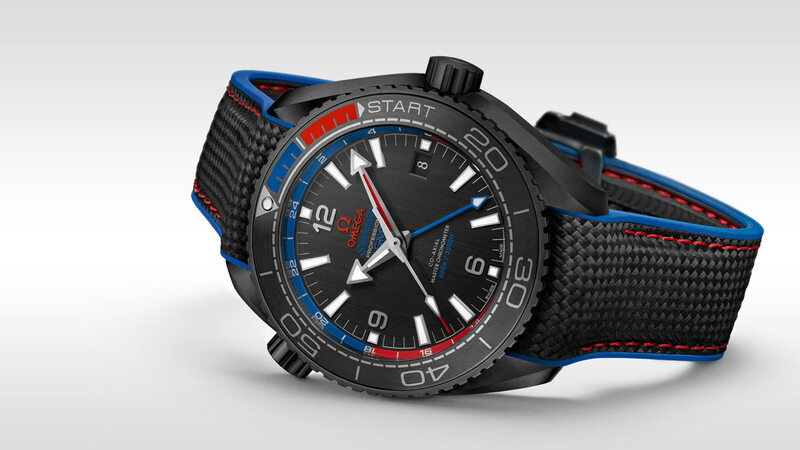 Cased in black ceramic, this race-ready watch features a ceramic bezel with an OMEGA LiquidMetal™ diving scale that uses blue and red rubber - the colours of the New Zealand flag - for the first 10 minutes. 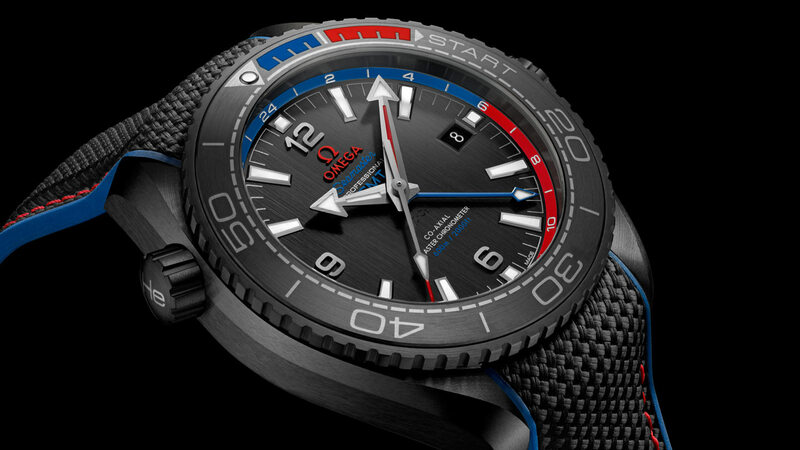 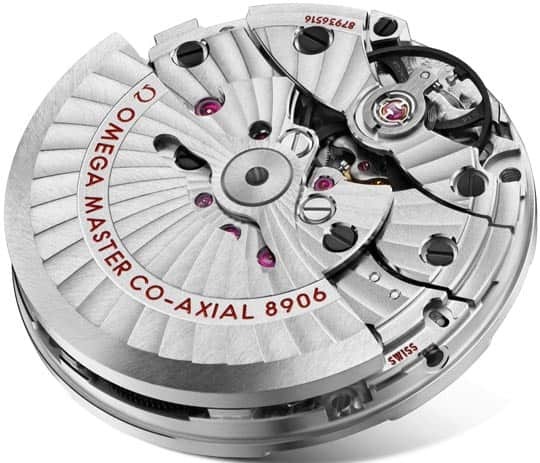 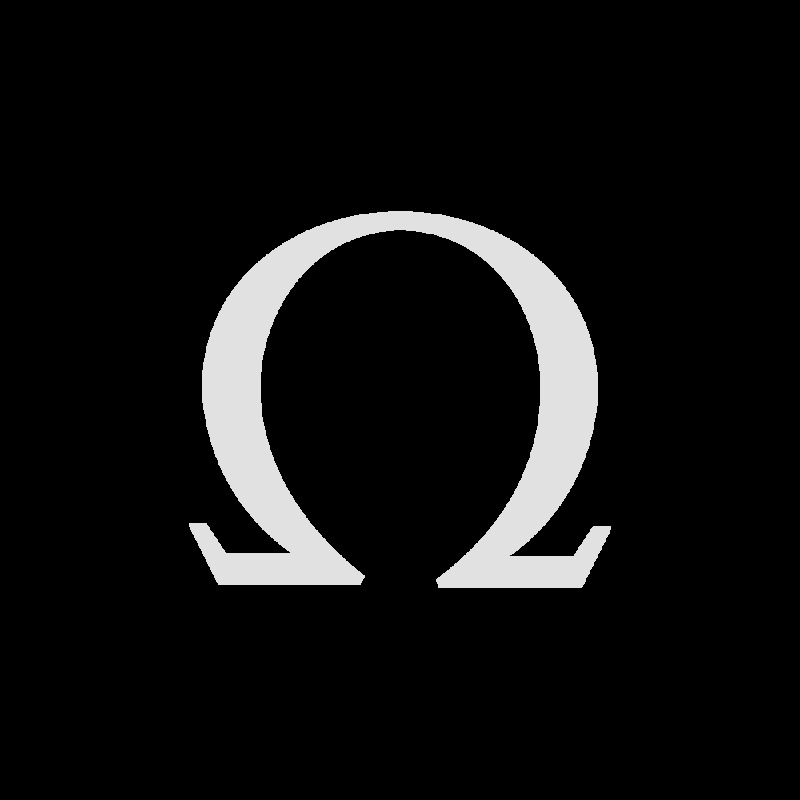 OMEGA LiquidMetal™ has also been used on the minute track and "START". 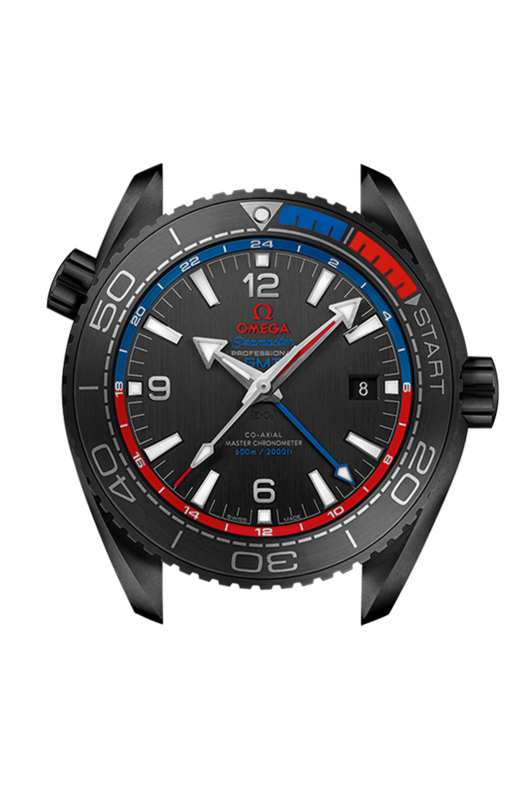 The vertically-brushed black ceramic dial sports 18K white gold indexes and a GMT ring with day/night display. 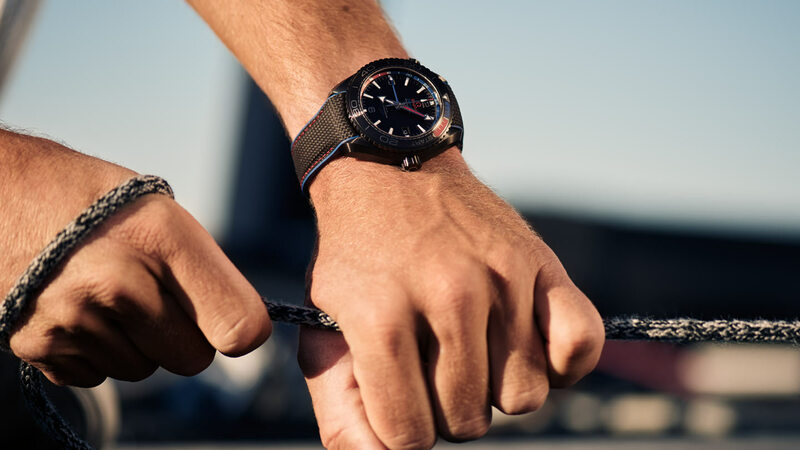 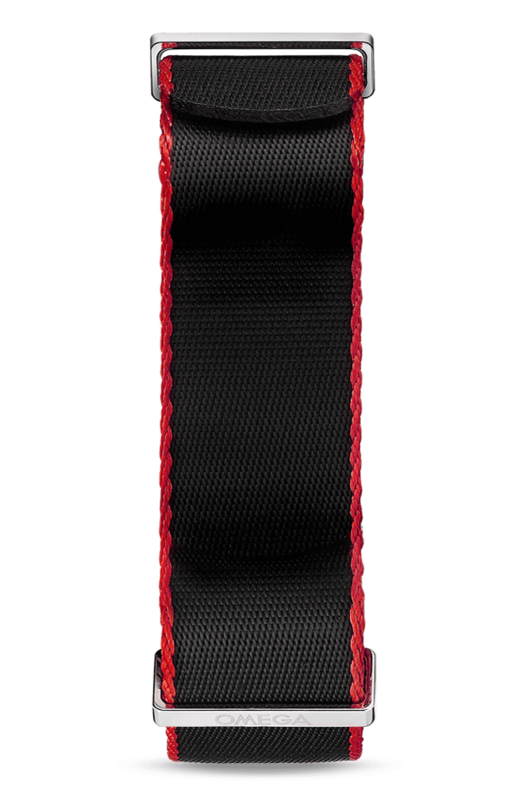 An EMIRATES TEAM NEW ZEALAND logo in red rubber dominates the caseback which is ringed with the words CHALLENGER 35TH AMERICA'S CUP. 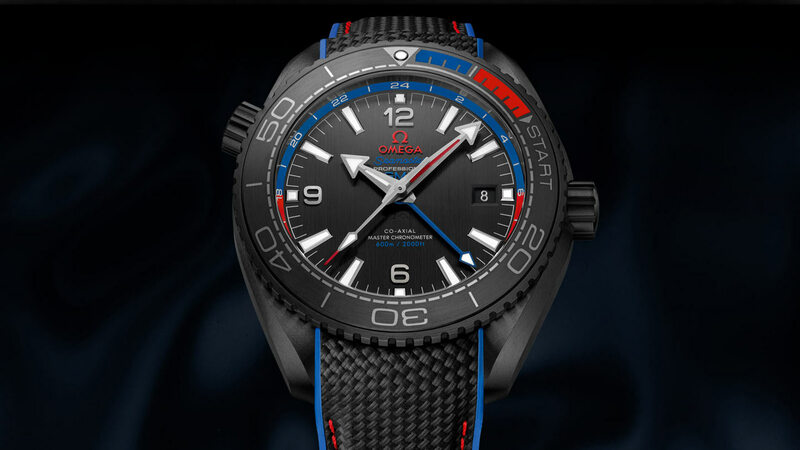 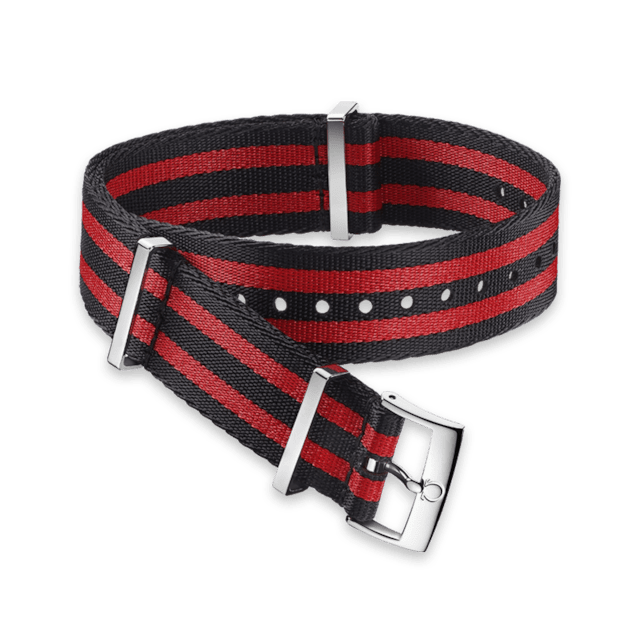 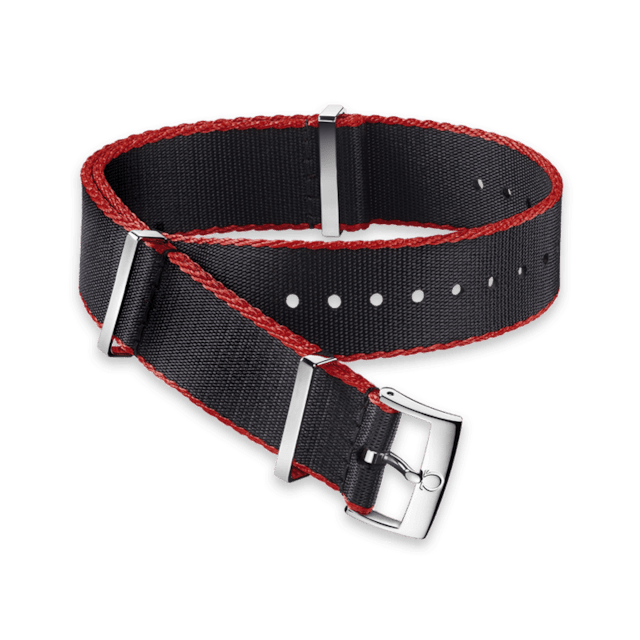 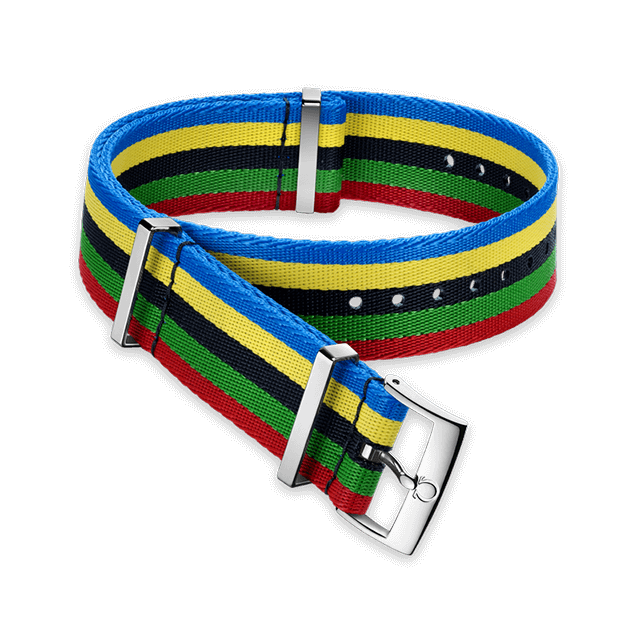 Presented on a black structured rubber strap with black and blue rubber lining and red stitching, it is powered by the OMEGA Master Chronometer Calibre 8906.